By most accounts, Captain Charles Gilbert Gould was the first VI Corps soldier to reach the Confederate earthworks on the morning of April 2, 1865. His desperate encounter in hand-to-hand combat with Brig. 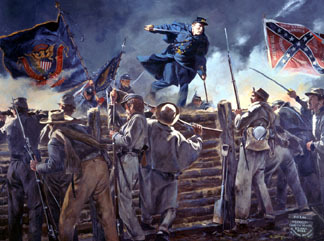 Gen. James H. Lane’s Tar Heels was subject of a previous post on the 150th anniversary of that decisive assault. Gould suffered bayonet wounds through the jaw and into his back, a saber wound to his scalp, and countless clubbed muskets battering his arms, shoulders, and sides. Despite those wounds, which he described as “slight,” young Charlie survived the ordeal and eventually received the Medal of Honor in 1890 for his bravery. None of that would have happened, however, had the musket leveled directly at the captain’s chest when he first mounted the parapet properly functioned when the North Carolinian squeezed the trigger. “My appearance on the parapet was met with a leveled musket, which fortunately missed fire,” he explained after the war. Which makes a postwar invention of Charlie Gould’s quite a curious discovery when I was recently researching his life. An adventurous daredevil before the war, Gould was “disabled from pursuing the more active avocation of life when discharged from the army,” according to a brief bio. 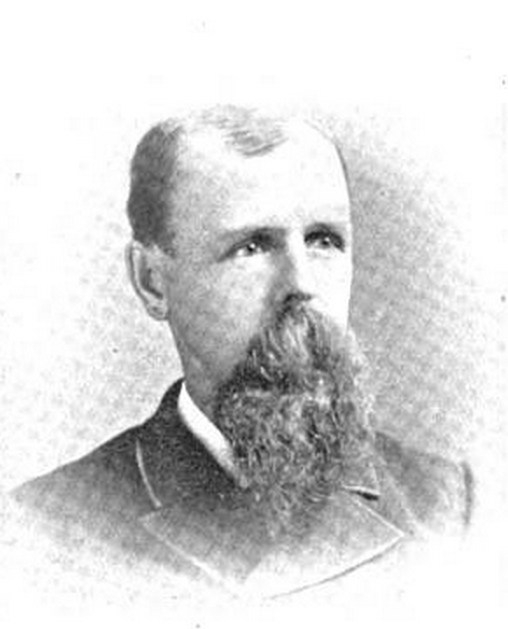 Deciding to settle his life down, Gould accepted a clerkship in January 1866 with the Pension Office in Washington. He served until 1871 when he accepted the position of chief clerk in the office of the Water Registrar for the District of Columbia. On October 1st of that year he married Ella Cobb of his native Windham, Vermont. Local newspapers consistently chronicled the hometown celebrity’s return visits. In 1874, ill health forced him to resign. 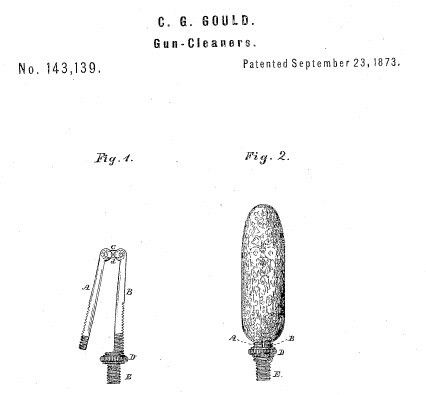 Gould spent a year in the office of the Secretary of War, until finally appointed to the U.S. Patent Office. In July 1884, he was appointed a principal examiner. An incision having been made through a sponge or other suitable material, the short arm is passed through it until the hinge is embedded, when it is shut down upon the other, clamping a portion of the sponge between the two jaws. The clamping-nut is then moved forward to embrace and lock the two arms, when the cleaner is ready for use. I wonder if Charles noted the irony of his own life being spared by a dirty gun’s misfire eight years before his invention. This entry was posted in Common Soldier, Sieges, Weapons and tagged Breakthrough at Petersburg, Captain Charles Gould, inventions, Patent Office. Bookmark the permalink.